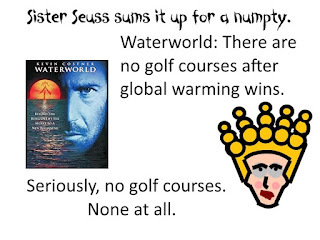 Sister Seuss sums up Waterworld for a numpty: There are no golf courses after global warming wins. 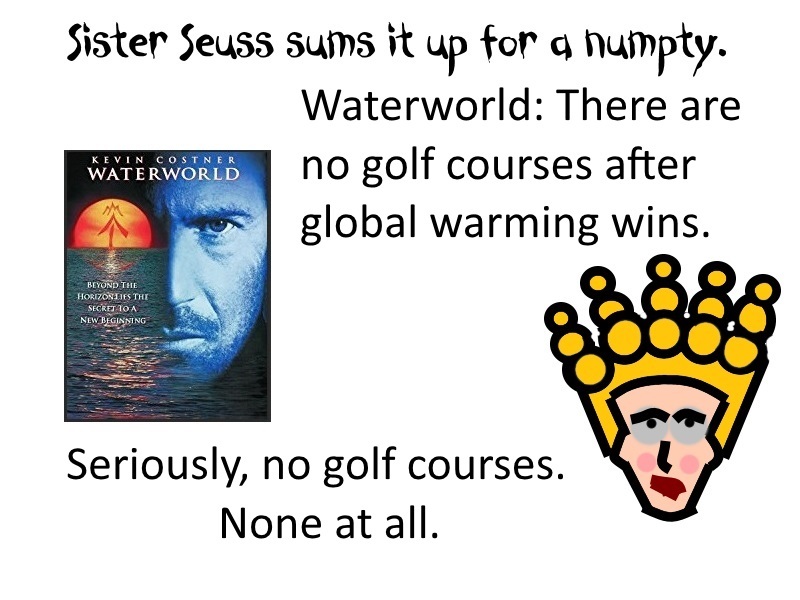 Seriously, no golf courses. 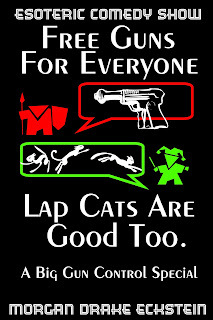 None at all. Sister Seuss is not a scientist, so you can believe her.